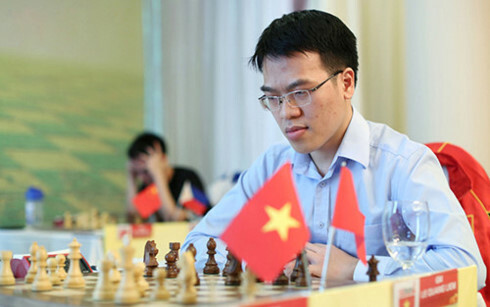 Chess prodigy Wei Yi of China stole the show today (July 18)at the Danzhou Super-GM Tournament beating Le Quang Liem of Vietnam in the final round after 18 moves in 90 minutes. After nine matches, Wei Yi cruised to victory with 6.5 points while Quang Liem earned 5.5, placing second and winning US$11,000 in prize money. With the win, he also secured the No. 27 slot in the world rankings. Liem is next scheduled to attend the Grand Chess Tour August 14-19 in St. Louis, Missouri the US where he will compete against former chess champion Garry Kasparov.